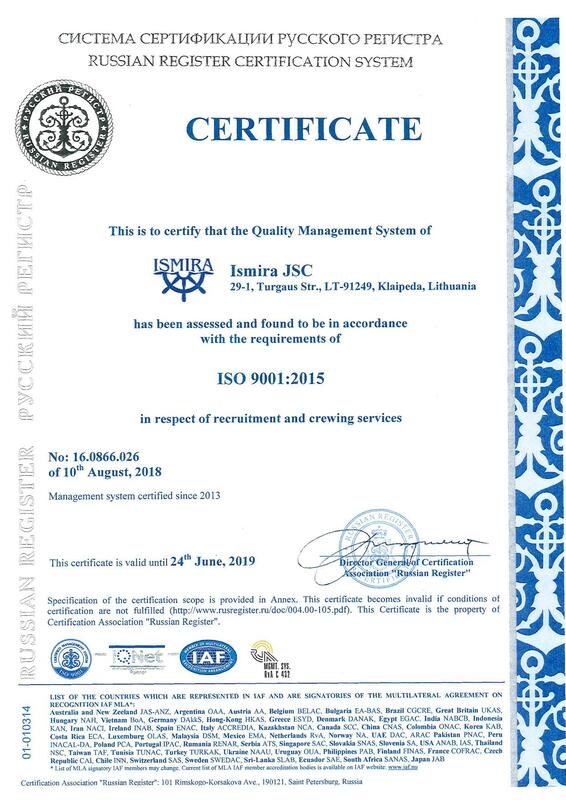 «Ismira» Ukraine has been operating since 2007 and cooperates with world’s leading cruise companies such as Carnival Cruise Line, Royal Caribbean International, Regent Seven Seas, Oceania Cruises, Thomson Cruises, Starboard Services, Costa Cruises. We carry out selection of applicants, train and prepare for operation qualified service personnel. Also, our recruitment agency has extensive experience in providing services to the mass selection as skilled and unskilled personnel. We are not limited to a particular industry sector specialization or professional field specialists gleaned. Some of our main advantages in recruitment are versatility, quality and commitment. This is why, by contacting us, you can be sure you will find a job that interests you, to suit your skills and knowledge. 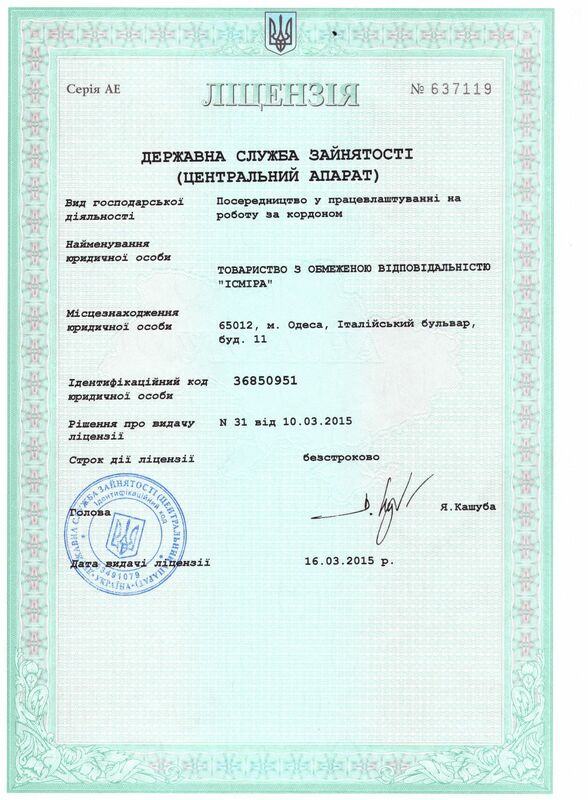 Our company is duly certified in accordance with Ukrainian and international maritime legislation. 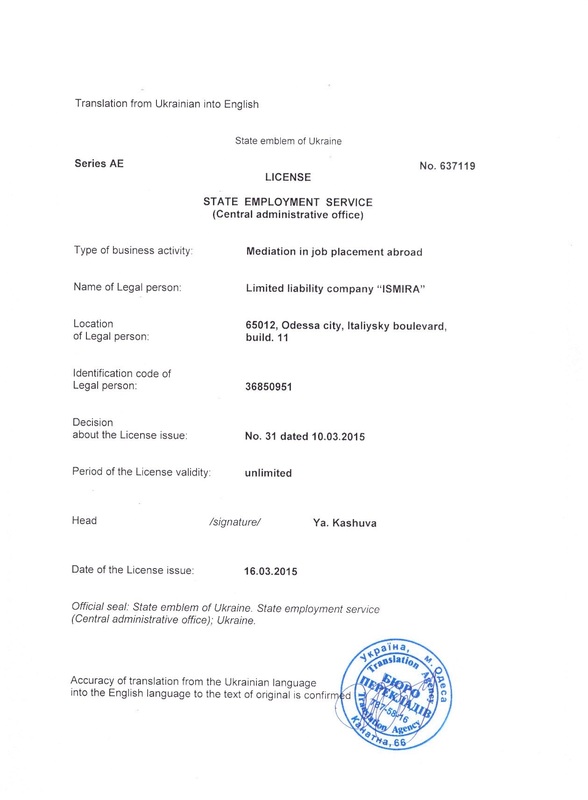 Ismira Odessa is the Ukrainian branch of Ismira Group with the main office situated in Klaipeda, Lithuania. We will help you get your dream job on a cruise ship according to your knowledge, experience and expectations. 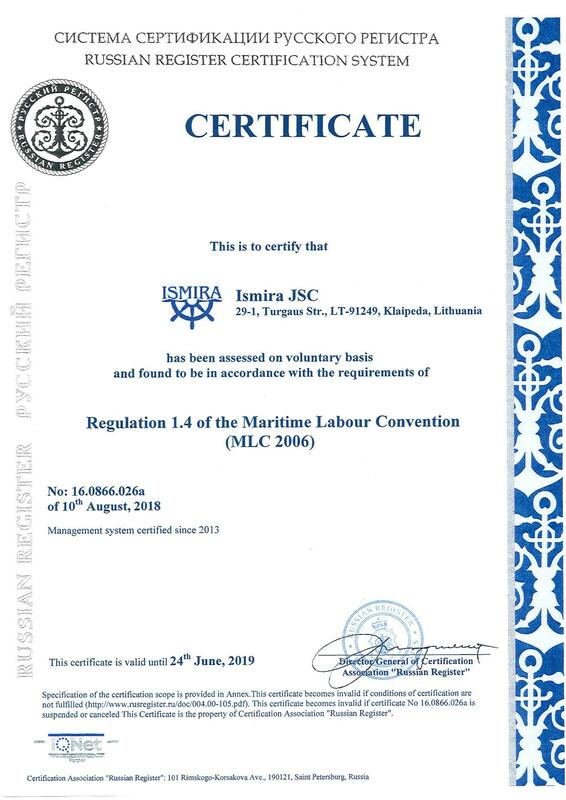 During the 10-years of our work, we are constantly improving the quality of our services by providing candidates best training, preparation, information about life on ships and future job. Explore our website and if you decide that working on ships is what you need, we will be more than pleased to lead you on-board of one of the fantastic cruise ships.